In the past year, Fisker Automotive—manufacturer of the hybrid Fisker Karma—has been making headlines for all the wrong reasons. The company laid off majority of its employees and has not rolled out a car in more than a year. They are currently shopping for a Chinese buyer. Not to mention, they are nearly $200-million under debt. 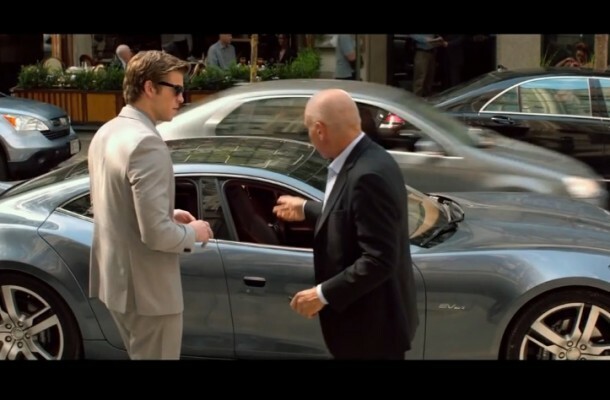 Despite this, the Karma has managed to score a product placement in Paranoia, an upcoming film that features Liam Hemsworth, Harrison Ford, Gary Oldman, and Amber Heard. In the movie, Hemsworth plays a corporate spy. He begins as an entry-level employee, but his boss offers him a multi-million dollar deal to spy on a rival company. According to reports, Fisker secured the appearance last year as the film was being shot and the company’s struggles weren’t as critical as they are today. In a related report, Hemsworth described what it was like driving the Karma.